At 44 pages, this issue of 1775 is the largest ever published in the history of the magazine. We hope you will find it interesting and insightful, and our heartfelt thanks go out to all who submitted articles for consideration and publication in this issue. 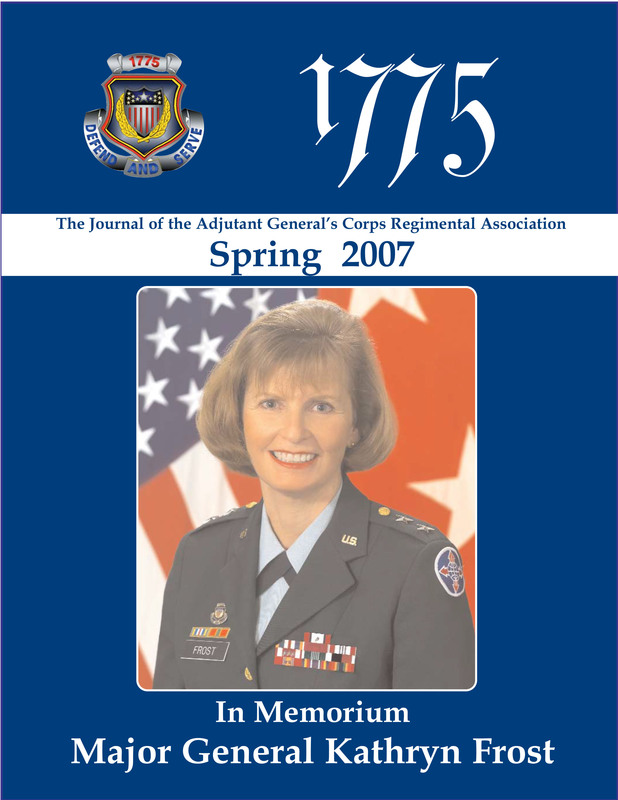 As we have stated before, we are totally dependent on the members of the Adjutant General’s Corps Regimental Association and its readers for the content and submissions. We would also like to welcome Colonel (Ret.) Robert Ortiz-Abreu, Jr, as the new Adjutant. Please feel free to route information and articles through him, especially if they deal with a specific Chapter, or activities sponsored by a particular Chapter. If you are considering making a submission,we would strongly encourage you to contact either the editor or assistant editor prior to making the submission. This will ensure that we have all of the information we need regarding your submission, and that you submit your documents in a manner we can use for publication. Email is probably the best method to contact us, and while SFC Rauchbach monitors the mailbox at magazine@agregiment.com, AKO email is more reliable. We can both be found in the AKO white pages. We look forward to hearing from you.